East Anglia lies to the east of the Midlands. This part of England includes the counties of Norfolk, Suffolk, Essex and Cambridgeshire. Mainly rural and with a tendency to be flat and low lying, it is one of the most pretty parts of England in the spring when the trees are in full blossom. The university town of Cambridge is always popular with visitors who come to admire its historic buildings. There are numerous charming villages with buildings going back to medieval times and a trip to East Anglia is recommended if you like to see ancient buildings and fine churches. 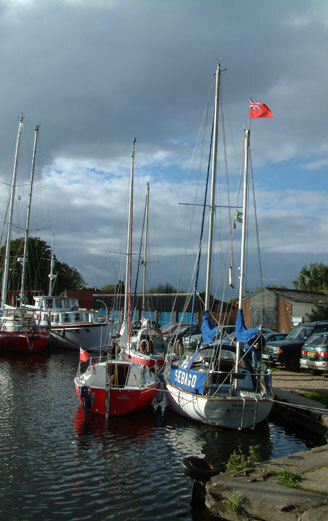 There is also an extensive unspoilt coastline for days at the seaside or sailing. The market towns of East Anglia are also good for antique shops and fairs. One of the largest antique centres is at Battlesbridge in Essex. The county Essex in East Anglia joins east London and there are excellent train connections from east Anglia into London.